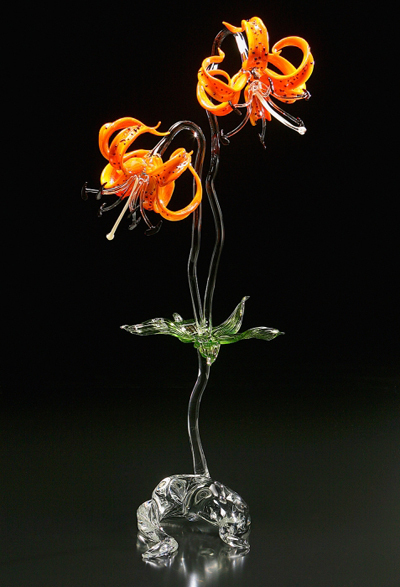 Ronnie Hughes employs traditional flameworking techniques and borosilicate glass to create detailed sculptures. 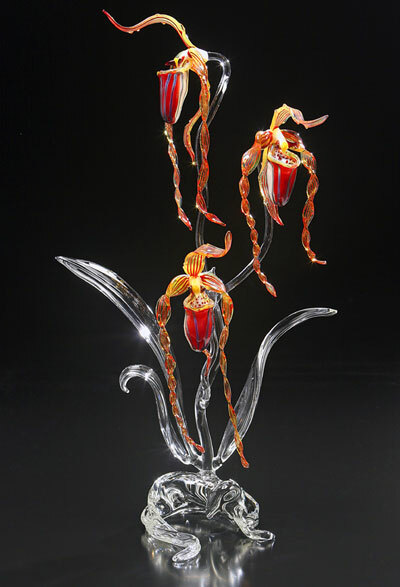 Five years in to his career, in 1980, he discovered a highly unexpected and satisfying blend of subject matter with medium (glass and wildflowers) and focused his work there. 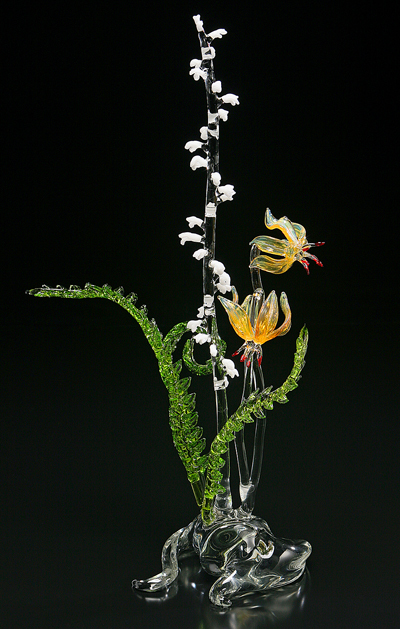 He also developed his own organic looking solid glass base which creates continuity in his motion filled sculptures. 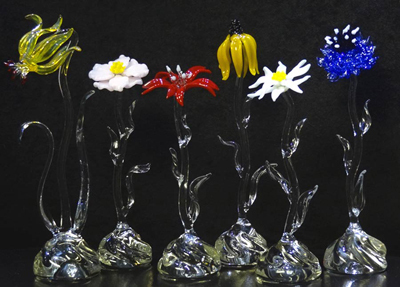 Hughes sometimes uses color to highlight certain parts of his work, but lets clear glass predominate, lending a mystical quality to the flowers, emphasizing the delicacy and fragility of our natural world. 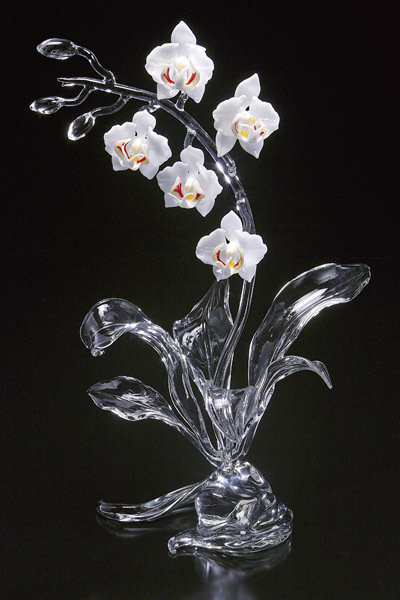 The transparent optical qualities of clear glass also challenge the observer to look more closely and to use imagination to complete the artist's creative vision.